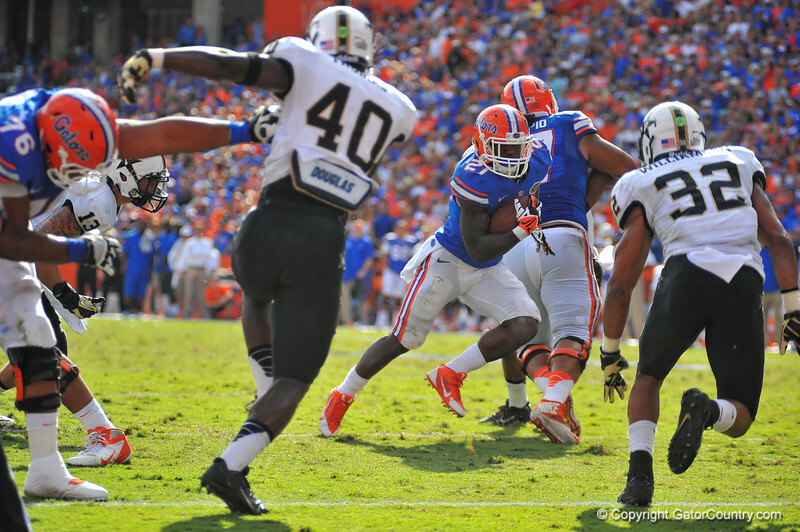 Florida Gator RB Kelvin Taylor finds an opening in the Vanderbilt defense and sprints to the endzone for a Gator touchdown in the third quarter. Florida Gators vs Vanderbilt Commodores. Gainesville, FL. November 9, 2013.